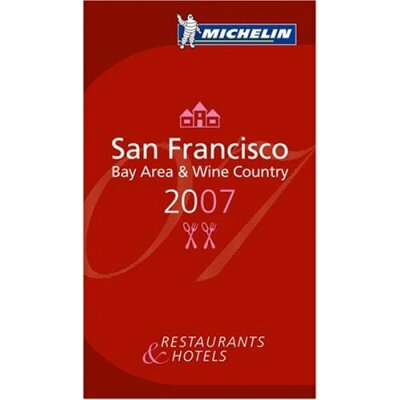 Michelin will unveil its San Francisco star ratings Monday morning, 10 am. I write on the Business Times website that this could threaten Michael Bauer's preeminence as an arbiter of taste in the Bay Area. Roland Passot of La Folie doesn't think so, saying the Guide will still take a back seat to Bauer. But he admits "I'm kind of a nervous wreck ... I think everybody is kind of nervous." 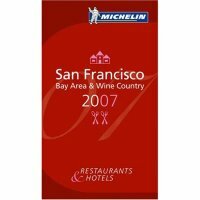 Apparently Michelin hasn't let the chefs in on the rankings, even to spare them the agony of anticipation this weekend! Everyone who even tangentially cared got their cloth napkins in a twist over it. Too French! Too elitist! ... The Spotted Pig?! Jean-Georges better than Daniel?! Oh, people were angry." But, as it turns out, Michelin has become uniquitous. A simple keyword search on NYTimes.com or NYMag.com reveals the prevalent use of "Michelin Man" as an honorific and star ratings dropped like nobody's business. Many chefs -- Bay Area and otherwise -- no doubt remember Bernard Loiseau, the pioneering French chef who came to care far too much about his Michelin stars and eventually took his own life. Perhaps the biggest question here is how Chez Panisse will do. It is not a three-star restaurant by traditional Michelin standards. But it has set its own standards, standards that have come to all but rule the regional culinary scene and marked a key turning point for food around the world. If the New York rankings were Francophile, that does not bode well for the house that Alice Waters built.